I had not been familiar with the KISS Instawave before. I am always excited to try new appliances on my hair. When it comes to appliances I always think "if it works on my hair, it should work for everyone". 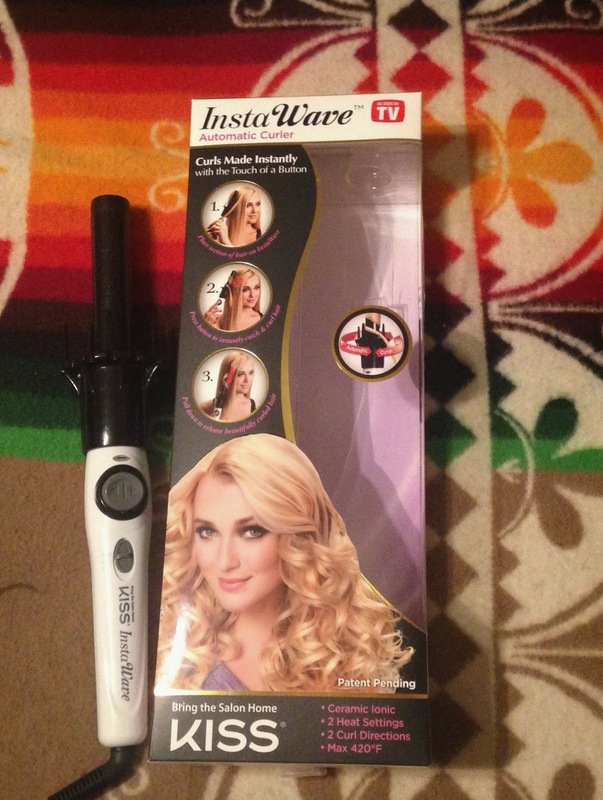 The KISS Instwave is a tangle free automatic curler. It has 2 heat settings with a maximum of 420 F.
It has a dial that turns left and right so the hair wraps around the 1" curling barrel (an excellent feature!). This ensures heat is evenly distributed to the hair. Very easy to use! Only 3 simple steps!! Always hold the Instawave upright for the best curl. Place a section of hair onto the curler. Press the dial to turn the hair away from the face or towards the face. Hold the dial until hair is around the barrel. Alternating curls gives a natural look. Let barrel heat the hair for 5 - 10 seconds. Gently pull the Instawave down and release an amazing curl. I was skeptical with the heat time because it usually takes my hair 30 seconds to hold a curl, with the Instawave it really was only 5 seconds! The curls last for days!! To Purchase your KISS Instawave, go to: http://www.KISSInstaWave.com! !